Drawing on over 40 years of experience in the poultry farming sector and on the proven technology of its existing Orion computer, Hotraco Agri is now focusing on improving a number of facets. The fixed functionalities and confirmed algorithms from the existing generation of poultry computers was further developed and enhanced with new software to ensure a high degree of reliability. This software is packed with smart features and corrective controls that can eliminate most operational problems in various situations. The revolutionary and intuitive touchscreen display can be fully customised per user, similar to the interface on a smartphone or a tablet. Clear symbols are used to create a 3D overview of the poultry houses and the computer and all texts can be configured in the user’s preferred language, including Chinese. The result is an extremely user-friendly poultry computer that can be accessed anytime and anywhere via an online application. 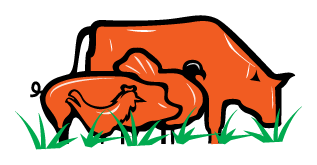 All information about the poultry house can be requested and accessed by the user. The innovative touchscreen poultry computer by Hotraco Agri gives users total control of all barn processes, including climate, feed, water, egg flow and animal weighing. With the new computer management program, users can optimise their animals’ living conditions and achieve substantial savings by minimising their electricity, feed and labour costs.